AnyTrans 5.4.0 & Video dl. Developer Stellar Information Technology Ltd.
Stellar Phoenix Mac Data Recovery is a data recovery utility for Mac computers developed by Stellar Data Recovery. This data recovery software is used to recover lost files, video, Photos, etc. from storage device, like internal or external hard drive, SD memory cards, Pen drives, Flash Drive etc. This software supports HFS, HFS+, NTFS, FAT & ExFAT file systems. 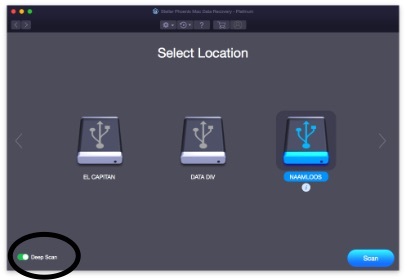 The software can recover files deleted from Time Machine (macOS) external storage media, BootCamp Partition and Encrypted hard drives. Founded in 1993 . Three technocrats Sunil Chandna, Manoj Dhingra, and Kuljeet Singh founded Stellar Data Recovery in 1993. The company started its operation with a niche business operation, which was then not very common in the industry; however, thrived to be the leading name among customers and enterprises. Installation is simple and straightforward. Just drag & Drop the application in your Mac’s Applications and you’re set. No reboot necessary to start using Stellars Data Recovery. 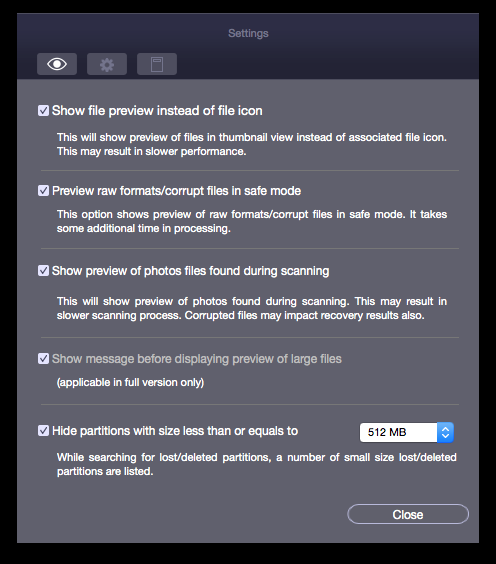 For the High Sierra users an important TIP is further down the review, make sure you follow these steps. The new interface of version 8 has improved a lot when comparing version 7. This is the way to go Stellar, well done! Now do we really NEED recovery software ? Well, you find out when you accidentally deleted or lost your precious files. Don’t panic, we’ve got Stellar Data Recovery to help us out. Start the application, choose your settings, drive, folder or partition and first try basic scanning. Did it show up in the filelist? Then just click Recover and you’re done. Not in the filelist, then choose Deep Scan. Deep Scan will take a lot longer to find any lost file or picture. Then again IF you want results, you need to have patience. Recovers data from USB, SSD, SD, CF, HDD etc. So the preferences are quite extensive and choosing your desired recovery formats, save scanning time and accuracy. Saving your scans is also possible in the menu, good if you lateron wish to proceed with stored scan results. Deep scanning is of course taking much more time to perform a full scan. The presented interface is so simple and easy to use. Click /Select any customization for your scan and step to Next. You will now be presented all connected discs/volumes internal as external. Select your disk which needs scanning and select Scan. Deep Scan: ‘Deep Scan’ is a type of scan that possibly looks through each sector of the storage media to find traces of lost or deleted files. This type of precision scanning always ends up yielding accurate results. Deep Scan usually runs slower than other scans, since scanning involves checking each sector rigorously. Search File: The ‘Search File’ option provides you a set of parameters based on which you can search for the desired files in your scan results. 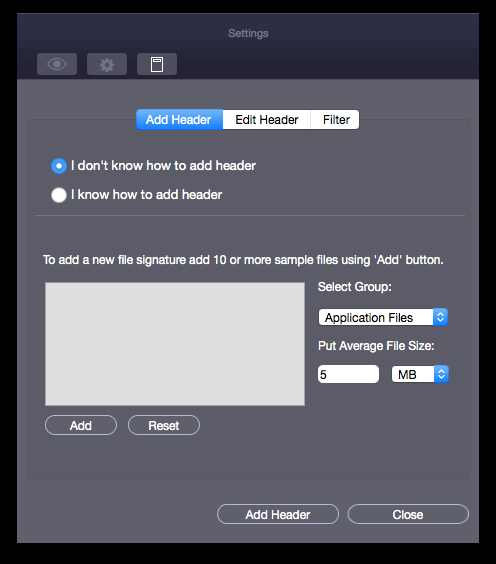 You can search files by name, signature. 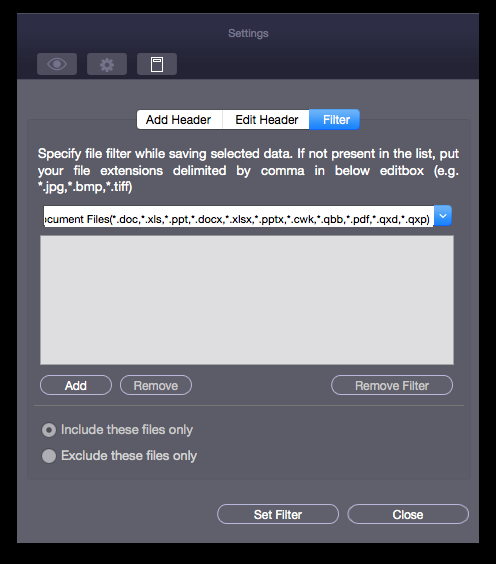 The feature is definite advantage for those who need to save time by recovering only some selected files. So scanning Quick vs Deep makes a huge difference in time. Scan-time QUICK Scan: 2 minutes vs Deep Scan: 79 minutes. The scan-result also differs 5647 files – 7062 files found ! 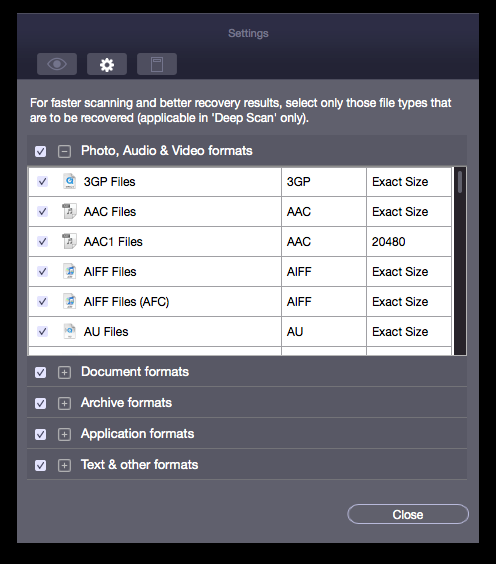 So just scan ‘quick mode’, first time and check if your wanted recovery files are found. If so, just select Recovery and you’re done. If however, your wanted recovery files are nor presented in the list opt for the ‘deep scan‘ at the bottom of the interface and wait for magic to happen. THIS IS IMPORTANT WHEN USING HIGH SIERRA !!!! 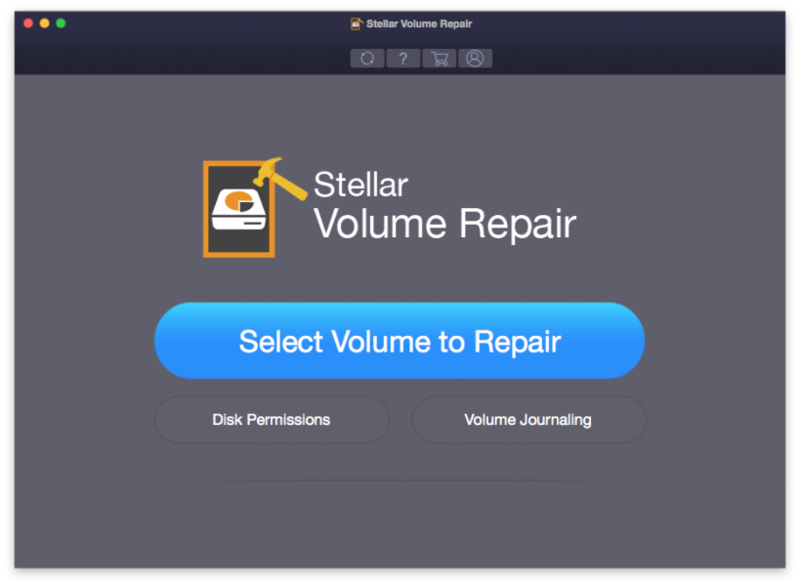 Stellar Phoenix Mac Data Recovery – Professional software recovers deleted files from macOS High Sierra 10.13 startup disk. But to restore deleted files, you need to disable System Integrity Protection (SIP) first and then run the software. After System Integrity Protection (SIP) is disabled, launch Stellar Phoenix Mac Data Recovery – Professional to perform Mac data recovery on the startup disk. Once you have recovered your files, enable the System Integrity Protection (SIP) to protect your system files, processes and directories at the root level from being modified. To enable System Integrity Protection (SIP) just type csrutil enable as mentioned in step-3. Although a Time Machine Backup is supposed to house your critical data so that you can refer to it in emergencies, the drive on which you store the backup can get structurally damaged. If unfortunately, you’ve faced such a situation, don’t waste your precious time in looking for useless solutions. The software treats a Time Machine drive as a normal hard drive and presents the same user-friendly options to salvage all your crucial data. Alongside Time Machine data recovery, the software now supports Apple Time Capsule on sparse bundle disk images. Indeed scanning of a 750 Gb Time Machine backup is piece of cake. It really doesn’t take a long time for Quick Recovery to do a full scan. Only a few minutes for the scan, the latter build of directory entries takes a lot longer then the initial scan itself. Still this is an important update of this program as your Time Machine will be your last resort when you’re in trouble. The ability to recover from this in our case external TM-Backups is a true benefit. If you have a password protected hard drive that has been damaged / corrupted / file deleted, don’t think you’ve lost the data on it forever. Recovering data from encrypted hard disks is super easy for this brilliant application. Just connect the drive to your Mac and launch the software. It will then ask you to enter the password to unlock the drive. Once you enter the password & unlock it, you can proceed to recover deleted, formatted and inaccessible files. But you should exercise caution to remember your drive password. If you fail to unlock the drive, you won’t be able to scan & recover deleted files from it. In the lost photo test, it recovered 100 percent of the photos. Don’t forget that 1% less recovery result amounts to 10Gb on a 1 TB harddisk, and this 10gb might just be your most precious photo’s or data. It performs really well recovering lost data, basic scan is fast really fast ! Deep Scan takes a lot longer to complete. If you’re recovering data on a 1TB HDD drive, the scan takes hours and the recovery as well. Then again, if THIS software will bring back your data, it is well worth spending time and effort in doing so. Disk repair offers some great repair tools in case your drive needs help. This Mac restoration software supports a wide range of compatible storage devices including internal or external hard drives, Solid-State-Drives, SD Cards, CF and other USB enabled devices. 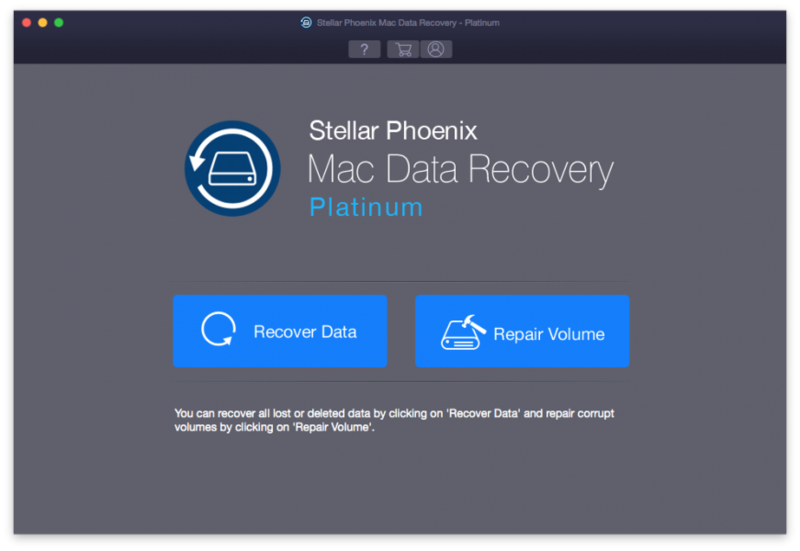 Stellar Phoenix Mac Data Recovery Platinum provides an option to verify & repair corrupt disk drive permissions. An intuitive Mac restoration software that facilitates to restore Mac hard drive by eliminating all the worry generating disk errors. If your Mac drive fails to boot or experiences logical disk errors such as ‘Invalid index key’, ‘Invalid key length’, or ‘Invalid leaf record count’ etc., then the Stellar Phoenix Mac Data Recovery Platinum will recreate the damaged directory leading to resolution of the reported disk issues. Scanning the ( OK Disk ) shows no errors. 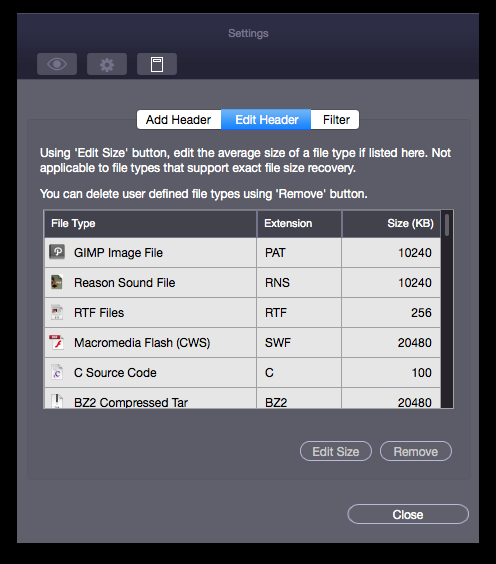 Retrieve deleted data from a TRIM enabled SSD. The product has been designed in an innovative manner to restore your lost files from the toughest of data loss scenarios and that also includes Mac deleted file recovery SSD TRIM enabled. STELLAR MAC DATA RECOVERY PLATINUM 8, is what it claims to be, a great data recovery tool which is easy to use and produces high recovery results between 95-100% depending on the format. It’s latest version 8 is really fast and scores well, only the file-building of Time Machine takes some time to present its folders. The overall interface and file management has improved a lot, and now is easy to use due to a guided interface. It is the best Mac Data Recovery application at this moment. Lots of ‘settings’ are available to the user in order to perform the recovery wanted. Even Encrypted volumes are no problem for Stellar Phoenix Data Recovery. All possible angles are covered with version 8. The software’s additional data management features and extensive compatibility can help your most challenging recovery to be more successful. The latest High Sierra software needs to be prepared for recovery actions, as High Sierra’s System Integrity Protection (SIP) prevents for file access startup disk. We truly enjoyed working with this great application and recommend it to every Mac user. Stellar has taken a huge step in file-recovery solutions. This version also has a full disk-repair build-in. All main disk errors can be handled from no booting disk to damaged directory or corrupt volumes. Repair and scanning for disk errors is easy and fast. These extra features prove a real bonus to an already great package. All in all, we can only ask you to try Stellar Data Recovery and Disk Repair and see if it fits your needs.